Our product range includes a wide range of overhead tank level indicator, water tank level alarm, automatic borewell water level controller, water tank level monitoring machine, water tank level sensor and single tank water level indicator. You can use Overhead Tank Level Indicator for measure water level in borewell. 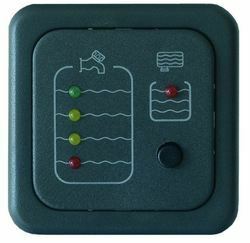 Power of Water Level Indicator is Single 9V battery and signaled by an audiable buzzer and a bright LED Light. 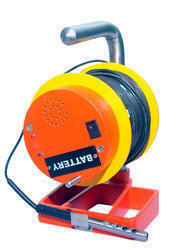 You can use a Water Tank Level Alarm for measure water level in borewell. Cable available in 90MTR 170 MTR and 180 Mtr.Power of Water Level Indicator is Single 9V battery and signaled by an audible buzzer and a bright LED Light. Cable Available 90mtr 170 Mtr And 180 Mtr. 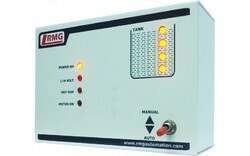 You Can Use A Water Tank Level Monitoring Machine For Measure Water Level In Borewell. 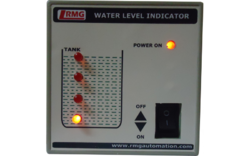 Power Of Water Level Indicator Is Single 9v Battery And Signaled By An Audible Buzzer And A Bright Led Light. You can use a Water Tank Level Sensor for measure water level in borewell. Cable available in 90MTR 170 MTR and 180 Mtr. 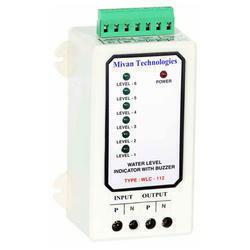 Power of Water Level Indicator is Single 9V battery and signaled by an audible buzzer and a bright LED Light. * Helps in measuring of the water levels in Bore well time to time. * Based on water levels, water can be utilize and managed. * Based on available water cropping pattern can be changed. * Helps in avoiding the wastage of water and also water shortage problems can be over come. * Helps to estimate the water yielding capacity o the Bore well. * Water levels data can be use in crop water budgeting and scientific analysis of the Ground water fluctuations.